Hire Kart racers and Track Day enthusiasts take note, the following effects you as well as race licensed competitors. MSA some time ago released a ruling or more a reminder of the rule “There must be no alteration to the structure of a helmet” which in effect stops the mounting of cameras such as Go Pro’s to a helmet. You can however still mount a camera on a shoulder harness but not a chest harness as could cause injury in a crash. 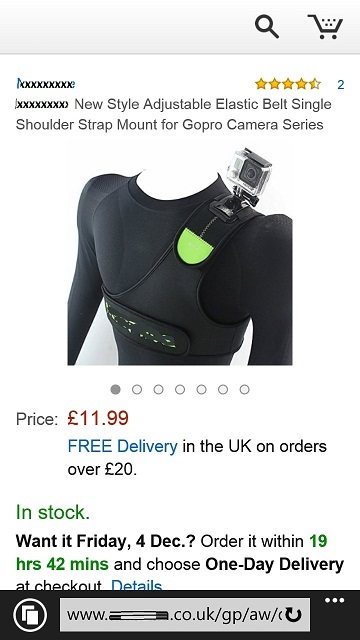 I was amazed to find that some of the top motorsport stores haven’t jumped on the bandwagon and started selling these shoulder harnesses yet, however they are readily available on the likes of Amazon. Be aware that the harness must be designed for the camera that is being mounted to it, for example it must have the Go Pro mounting as part of its structure. Its also worth noting that any existing stuck on camera mountings must be removed from a helmet, some of our team have been asked by marshalls at our local kart circuit to do so already. This can be tricky as 3M glue is very strong but can be achieved by heating them up with a hair dryer. On a similar subject suction mounts can no longer be used inside or outside a vehicle, instead a fixed mount must be used. This is due to some coming lose during racing. It can all seam a little annoying but at the end of the day without rulings like these we wouldnt have the safety that we have today in motorsport. We will be taking these rules seriously, I already have my harness on order, now I just need to try and get my old mount off. On a seperate note you can now sign up for email alerts of proposed new regulations on the MSA website. This gives members of the motorsport community the chance to have their say over the proposed regulations. To sign up for alerts, visit http://www.msauk.org/consultations. Please be aware that the automated email might go into your spam folder, in which case you may need to add it to your ‘safe senders’ list for the future.